Coming from someone who has worked in the F&B industry, it is not entirely without beaurocracy that some restaurants obtain their awards. Finding a sticker or a plaque at the door won't always guarantee you a good meal. But of course there are some establishments who are truly deserving and won't make you feel as if you've been robbed after asking for the check. Despite being posh and upscale, Jasmine Restaurant (New World Hotel's Chinese Outlet) provides a memorable dining experience with a fair price. 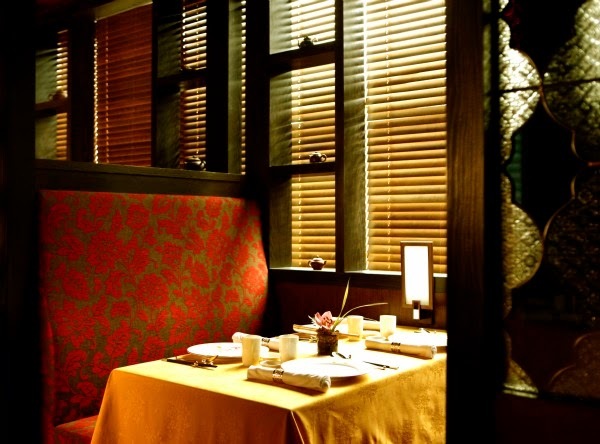 At Jasmine Restaurant, great dedication and attention to detail is given to ensure an authentic Chinese dining experience for all their patrons. Personally not a big fan of Chinese food, these two chefs managed to turn my preferences around by the end of dinner. I was surprised at how clean and non-greasy their food felt on the palette. From what I learned in school, this means working with woks that are constantly at the right temperature. A feat not easily achieved by everyone. Which was soon followed by a personal childhood favorite of mine (one the few Chinese dishes I appreciate), a bowl of steaming hot seafood wintermelon soup. This is the kind of soup that you will want to have access to on each rainy, sick/hungover day. It's an exquisite broth with generous servings of shrimp at the bottom. For our first main dish, we had the Pork Tenderloin in Mandarin Sauce which was a precursor for how good our night was going to get. The Pork Tenderloin melts in your mouth like butter wrapped in a deliciously thick savory/sweet sauce. A great contrast to the pork was the Stewed Minced Shrimp in Bamboo Pith with Asparagus. It's a delicate meal with refined flavors and simple seasoning that highlights the freshness of the shrimp against the refreshing bite of the blanched aspragus. After cleansing our palette with the shrimp, it was time once again to indulge in rich flavors starting with a noodle stir-fry topped with prawns. The egg noodles in the dish were extremely flavorful and cooked al dente with the shrimp providing a nice juicy twist at the end. Next up was something totally new to me, deep fried duck. I never eat duck. I only enjoy the skin when its wrapped with hoisin sauce when they cook it three way. I don't care so much for the flavor of its dark meat but for some weird reason, I actually enjoyed this dish. Despite being deep fried, it was light and the breading didn't feel oily, it was almost feathery in my mouth and the sweet sour sauce that came in with it was a perfect contrast against the richness of the dish. One of my favorites of the night if not the most favorite was this seafood/tofu dish served Singaporean style. This was perfection. Not too tasty, not to bland. I love it so much that I am beginning to salivate as I write. I won't divulge too much so as not to ruin the surprise element for you when you go try it because you MUST. Next, Pineapple Fried Rice with Cashews. Each grain of rice was coated in flavor without being greasy and while mainting a light and fluffy texture. Also very good especially if you're a fan of fried rice. To finish up our mains, we had the deep fried cod with ginger and leeks. I have never had chinese style cod in my entire life. I usually shy away from ordering it because I find it too rich (a traumatic childhood experience from eating too much gindara in teriyaki sauce). For the sake of this article, I gave this a shot and I tell you, I will never have it any way else. I guess all cod ever needed was some ginger to level off the flavor. Even better with steamed jasmine rice. For dessert, we had the Kam Loo So, I'm not really sure what it's made of but from tasting it, I'm guessing a mix between beans, custard and almonds. Very, very good, especially with hot tea. There was also the red bean cake which my friends, Ana and Paul really enjoyed. Personally, I prefered the Kam Loo So. To sum it up, Jasmine Restaurant is one of the best premium Chinese dining restaurants in Manila with a reasonably priced menu considering the quality of fresh, imported ingredients they use and high standard of service they offer. 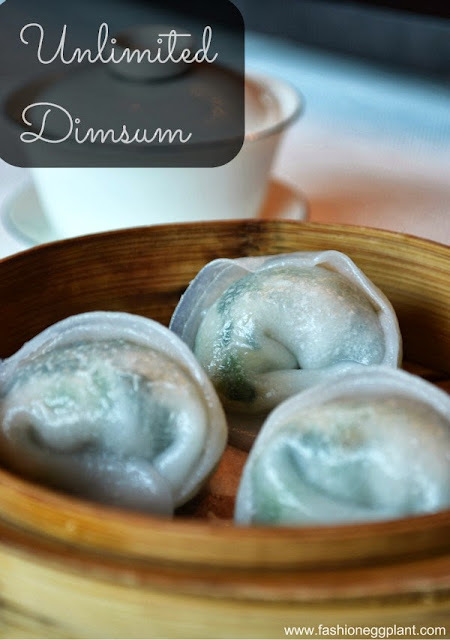 And for a limited time only, Jasmine Restaurant is offering an unlimited dimsum offer where you can indulge in freshly prepared dim sum, sweet and savory steamed buns, succulent dumplings, crispy fried spring rolls, and baked delights, plus a choice of tea or soda for PHP 695+ per person. On the weekend, diners can opt to indulge and match the dim sum feast with a glass of sparkling wine for a total of PHP 950+ per person. Also ask about Jasmine's signature set menus which are priced from PHP 750 - PHP 1450 per person and include appetizers, a variety of main dishes, dessert and tea.